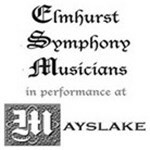 The Elmhurst Symphony Assoc. 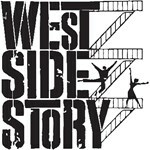 presents this special viewing of the movie West Side Story as a preview to the opening concert of the 2018/2019 season, Bernstein Spectacular. Join us for this award-winning movie, one of the most acclaimed musicals of all time. The original soundtrack will accompany the film. 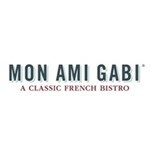 Enjoy delightful music, conversation, and delicious food and drink. ESO Music Director & Conductor Stephen Alltop at the piano and soprano Josefien Stoppelenburg will present a program that will take you on a journey through the life and music of George Gershwin. Dinner catered by LaCuisine, a split the pot raffle, and a silent auction will all be a part of theis exciting gathering. 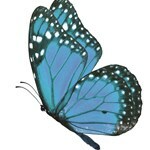 Proceeds from this fundraiser support the programs of the ESO. 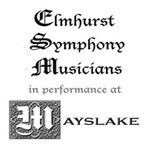 The Elmhurst Symphony Musicians in Performance at Mayslake concludes its 2017-18 season with “Bach and Beyond” at 7:30 p.m. on Thursday, April 12, at Mayslake Peabody Estate, 1717 W. 31st St. in Oak Brook. 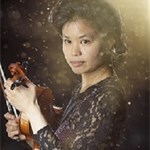 Soprano Josefien Stoppelenburg, cellist Jean Hatmaker and harpsichordist Sun Chang will offer an engaging array of audience-pleasing works by Bach, Handel, Mozart and Willem Stoppelenburg. The program includes Handel’s dramatic cantata La Lucrezia, and Mozart’s joyful Alleluia. Come and enjoy a spring evening with this stellar group of musicians. Held at the Elmhurst Christian Reformed Church, 149 West Brush Hill, the Robert Stanger Young Artist Concerto Auditions provide a forum for outstanding area high school instrumentalists to compete for the opportunity to perform a concerto movement with the Elmhurst Symphony Orchestra. These awards are in memory of Dr. Robert Stanger, President of Elmhurst College, who also served as President of the Board of Directors of the Elmhurst Symphony from 1968-1972. 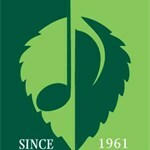 Auditions occur in 15-minute intervals from 8:30am - 4:15pm. Regional violin sensation and Stradivarius Society’s newest recipient, Joshua Brown, performs Vivaldi’s Four Seasons, and dazzling concertos showcase ESO string principals. Elmhurst Symphony's own Bolling Team: Alison Gaines on bass, cellist Patti Garvey, pianist Jeremy Kahn and drummer Kevin Kosnik feature selections from Claude Bolling’s Suite for Cello and Jazz Piano Trio along with musical selections from various styles and eras, including bebop jazz, electronic pop, original compositions and jazzed-up classical pieces. Join us for delightful afternoon of toe-tapping Jazz. This is a musical event you will not want to miss! 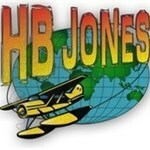 Join the ESO for a casual buffet dinner catered by HB Jones. Corigliano: Concerto for Flute "Pied Piper Fantasy"